Looking for inspiration? Do you need some holiday ideas to help that early booking stage of planning your trip to New Zealand? What is it for you that makes a perfect holiday? Below is a hand picked selection of some of the best New Zealand holiday ideas I would recommend experiencing. If you have never been before or haven’t the time to research your holiday to New Zealand, then email me! It’s one thing to talk to friends and family or read a guide book but nothing beats first hand knowledge and advice. So, what is it that you really want from your holiday to New Zealand? 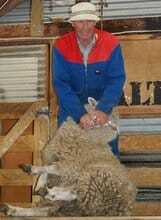 Would an opportunity to visit a working sheep sheering homestead be of interest? Perhaps a day trip on the famous Earnslaw Scottish steamer might be appealing at Queenstown Bay on Lake Wakatipu, a long thin Z- shaped lake formed by glacial processes, and has spectacular views of the nearby Remarkable and Walter Peak mountain range. 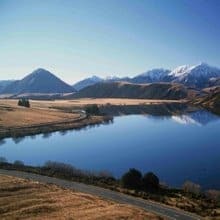 The scenery in so many parts of both north and south island is stunning but you have to know the best places to visit before making your booking especially if time is short. 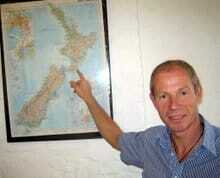 Contact me before booking your holiday to New Zealand. 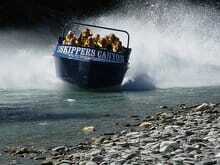 The Earnslaw – old Scottish steamer on its way up river to Walter’s Peak, a must do experience in New Zealand! Walter Peak – farm show, sheep shearing and a perfect afternoon tea and scones…delicious! 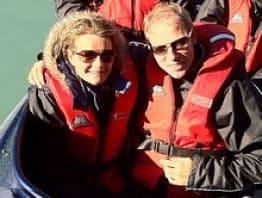 The ‘Shotover’ jet trip in Queenstown is an absolute ‘must do’ Kiwi experience whatever your age or budget! Try a famous ‘fergburger’ when you are visiting Queenstown, they are delicious! Hire a car or campervan, roads like this really do exist! Take a surfing lesson in Auckland or just enjoy one of the many beautiful beaches there, they are superb! 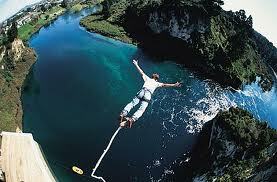 Bungee jumping – this crazy activity all started off here in New Zealand, definitely not for the faint hearted! Skydiving is an experience for those brave enough to jump from an aircraft at 15,000 ft into thin air. 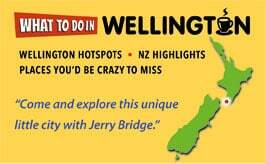 When you come on holiday to New Zealand be sure not to miss visiting my new hometown, Wellington. It has more going for it than any guide book can say, trust me! Campervanning around New Zealand on your holidays is for many people the best way to see the country whilst staying at some of the best campsites in the world. Come on then – who are you staring at? 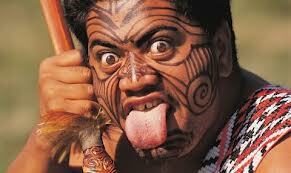 The traditional Kiwi ‘Haka’ is a ‘must see’ experience. The Southern Alps of New Zealand remind me of Switzerland! One of the many vineyards of Marlborough. 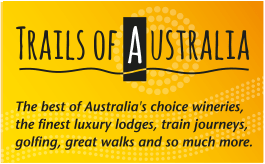 Wonderful wine tasting opportunities and yes, you can get to many of them by bike! 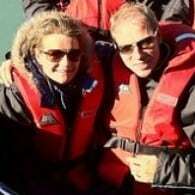 Milford Sound with Katie. Well worth the trip especially if you have the time to do some trekking. You can fly or drive in from Queenstown easily. Enjoy breakfast or lunch at Maranui Surf club, Wellington. The views of the airport and sea are fabulous and the food’s pretty good too! Encounter the yellow-eyed penguins in their natural habitat close to Dunedin. It’s a great day out and they are awesome to watch. Take a ‘Black Cat’ cruise from Akaroa and swim with dolphins, it’s an absolute amazing experience, life changing for some people! Black Cat cruise boat preparing for the days trip to the dolphins. 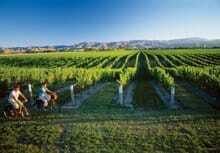 Sample some of New Zealand’s finest wines in Martinborough, one of the best wine growing regions. For that authentic sheep shearing experience – they love it really! 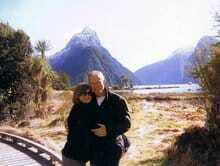 Like a postcard, the fiord-like scenery around Milford Sound is as good as it gets. No wonder so many adverts have been made here. When we talk about luxury Kiwi style and the best of what the lodges here have to offer, we mean it’s the utter all inclusive ‘business!’ Here we are at Blanket Bay – Glenorchy. 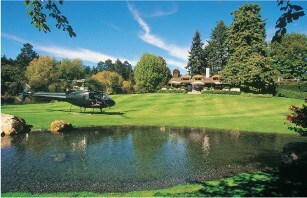 Huka Lodge, close to Taupo in the North Island is one of New Zealand’s most luxurious lodge experiences. 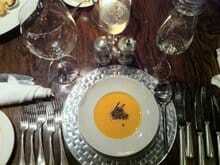 What a feast it is too, every meal is delicious but cutlery-wise, where on earth do you begin? 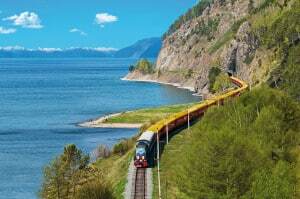 Arthurs Pass, reach it by road or the scenic train trip from Christchurch. Swimming with dolphins is one of those once in a lifetime experiences, it really is awesome! 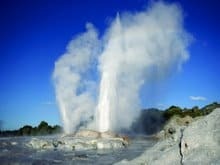 Those marvellous ‘geothermal’ geysers in Rotorua, an absolute must-do experience. Hot air ballooning – Christchurch. 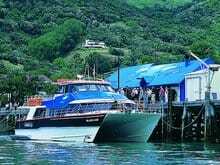 The steamship out to Walter’s Peak is a great day out and what a vessel it is too! 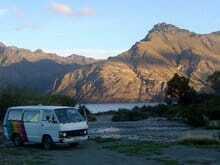 Camping out in New Zealand, surrounded by spectacular scenery everywhere you look is awesome!